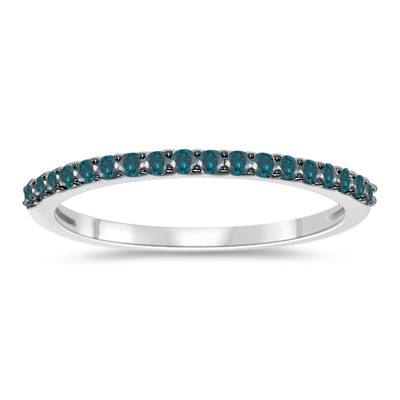 1/5 Cts Teal Blue Diamond Ring in 14K White Gold with Black Rhodium . This beautiful Teal Blue Diamond Ring displays eighteen sparkling teal Blue Diamonds prong set in 14K White Gold with Black Rhodium. Approximate Color Diamond Weight: 0.20 Carats. 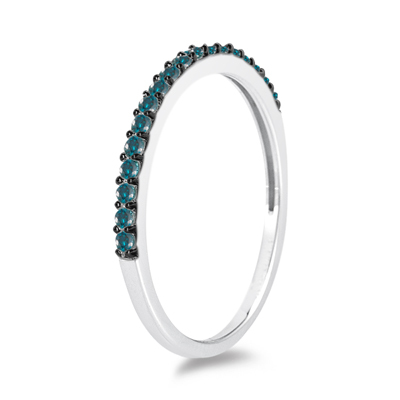 This shimmering blue diamond ring exhibits royal taste.